Please ensure someone is available to unload. 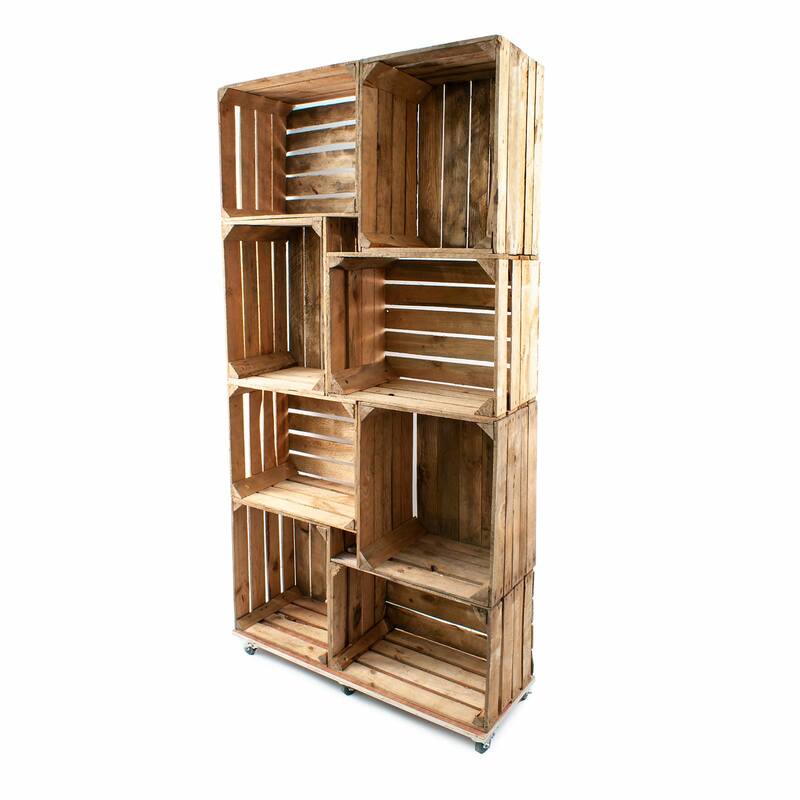 8 Crate Freestanding Display Shelving Unit available with or without heavy duty base with castors. 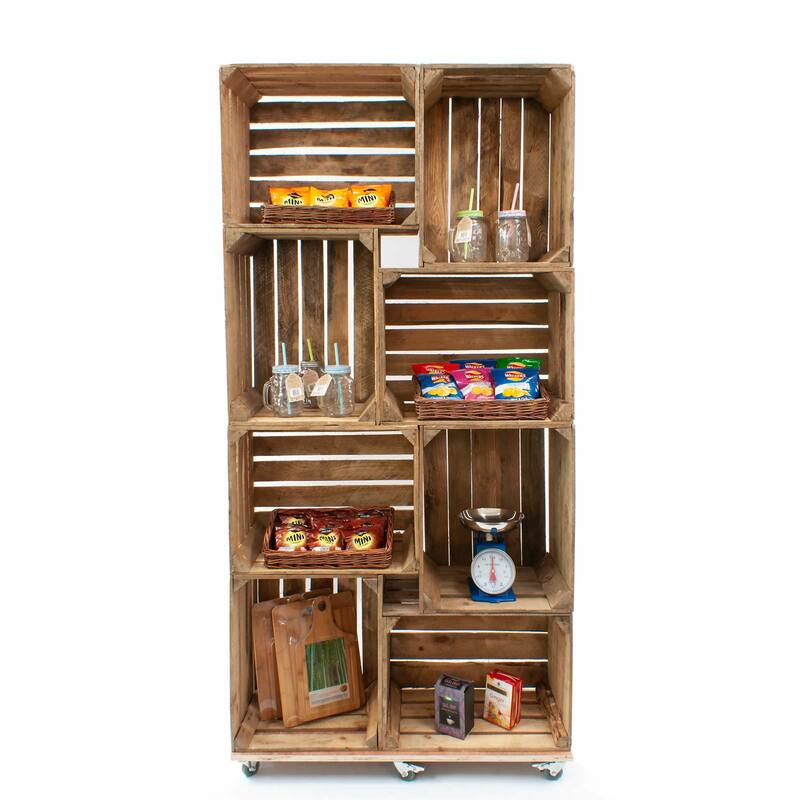 Perfect for any shop, fair, show, exhibition display or even for home use as book shelves or storage. 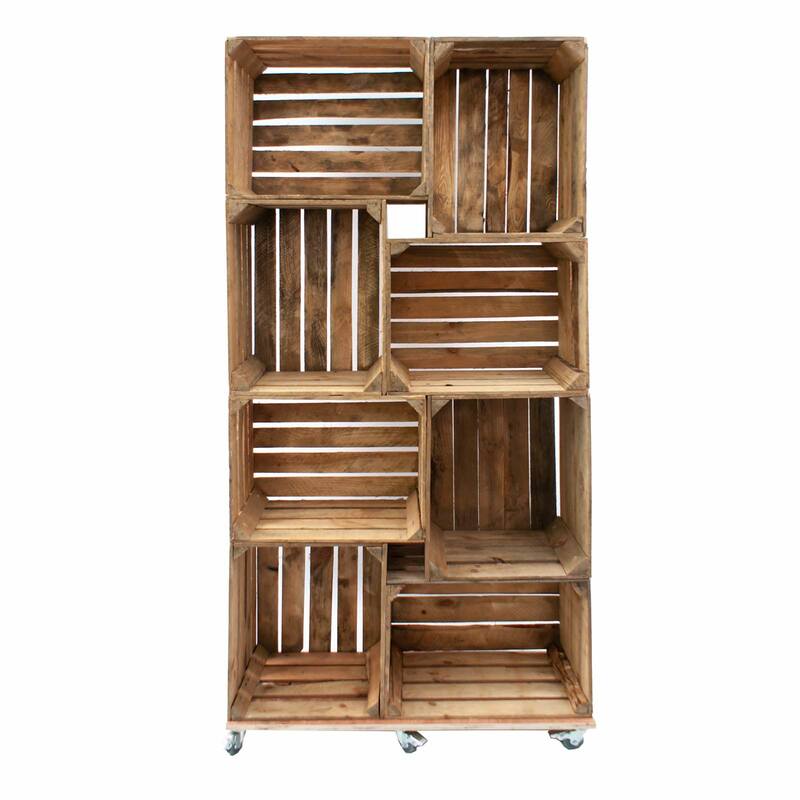 The crates are classified as B-grade as they are unfinished and not sanded or treated in anyway. Care should be taken when handling. 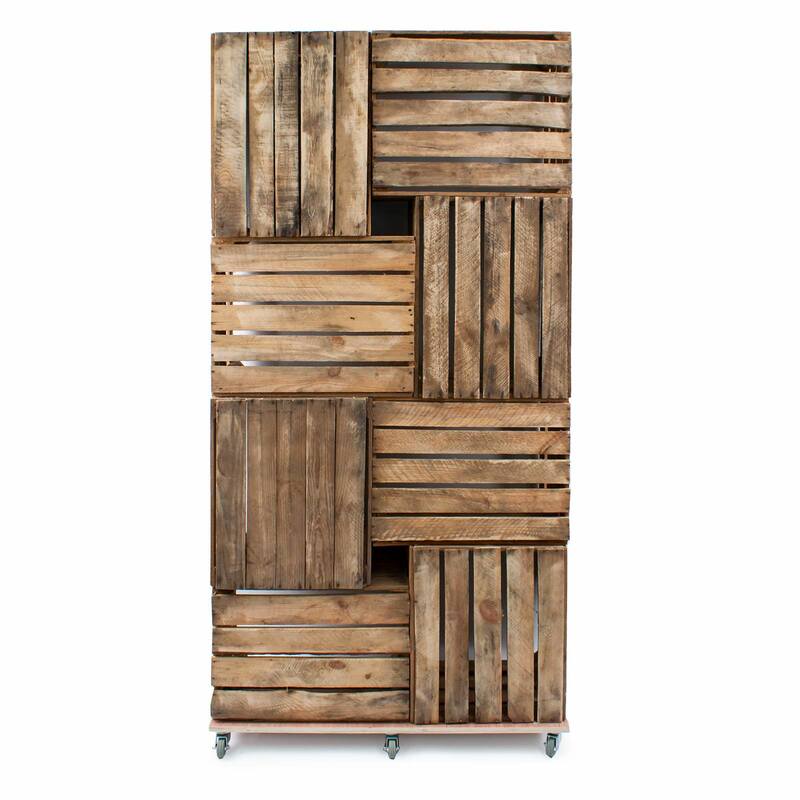 Height 1805mm / 180.5cm / 6ft 2"
Please note that sizes may vary due to rustic nature of crates. 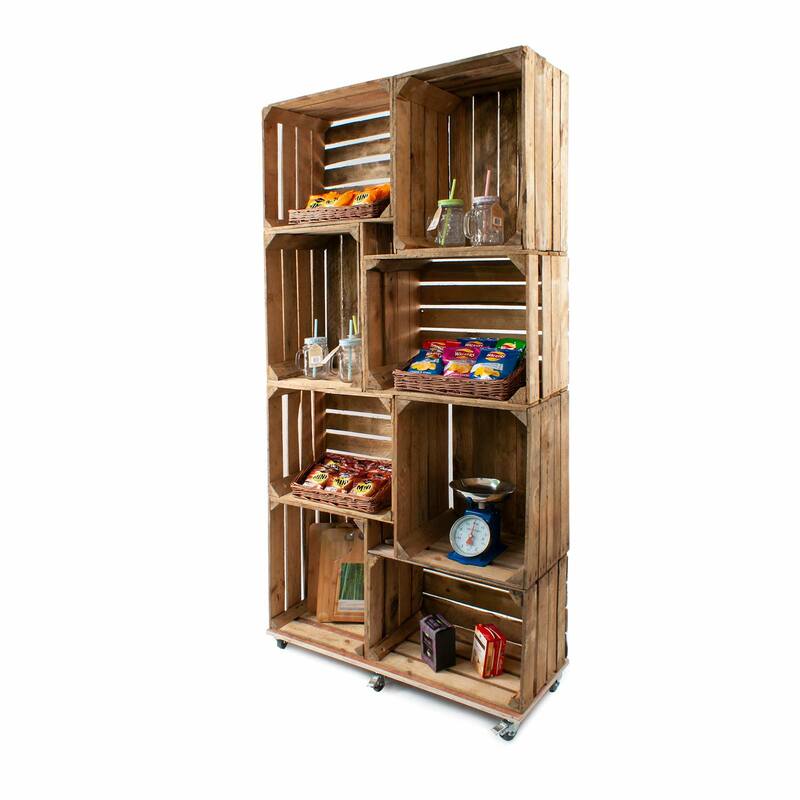 Height 80mm / 8cm / 3.25"
Depth 400mm / 40cm / 15.75"